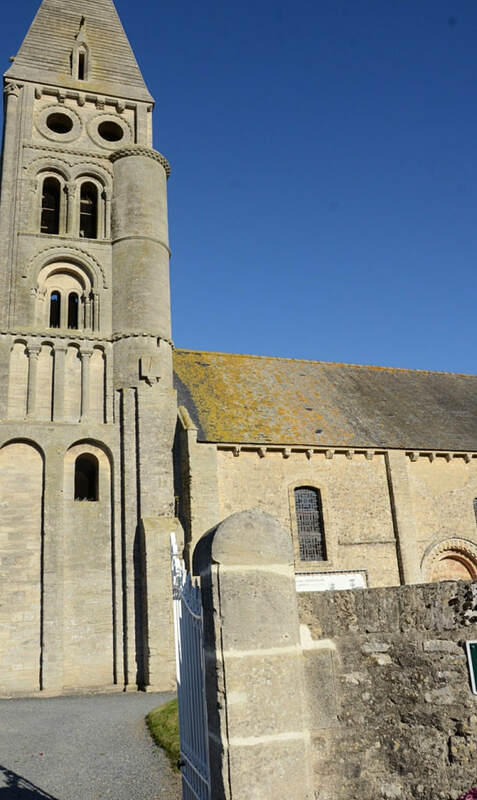 Colleville-sur-Mer is a village and commune 10 miles (16 kilometres) north-west of Bayeux. 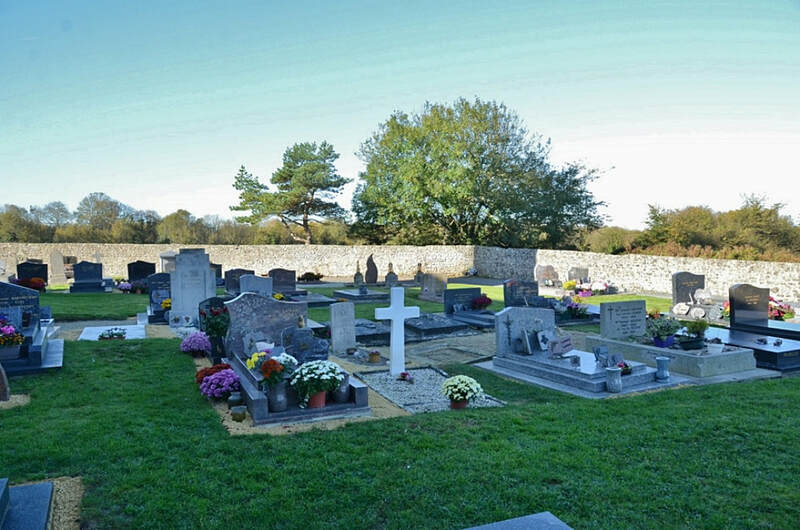 It is on the N.814 coast road from Bayeux to Port-en-Bessin and Isigny. There is 1 Commonwealth burial of the 1939-1945 war here, 20 yards north-east of the church tower. 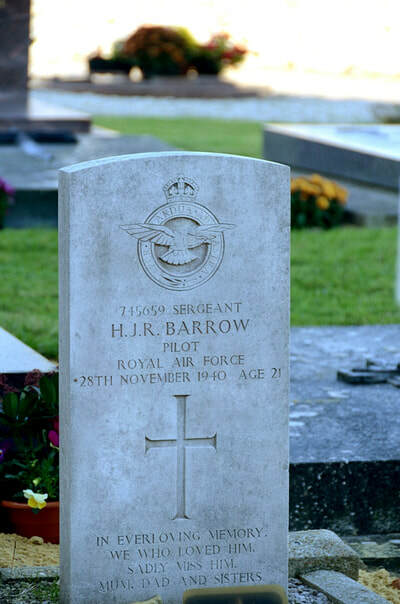 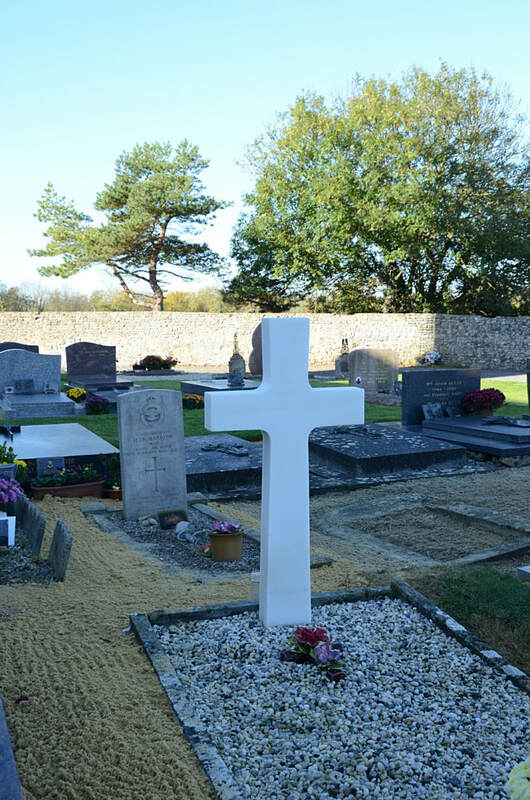 745659 Sergeant Hector Jack Raymond Barrow, Pilot in 213 Squadron, Royal Air Force Volunteer Reserve, died 28th November 1940, aged 21. Son of Alfred Hector Henry and Edith Ethel Barrow, of Isleworth, Middlesex.